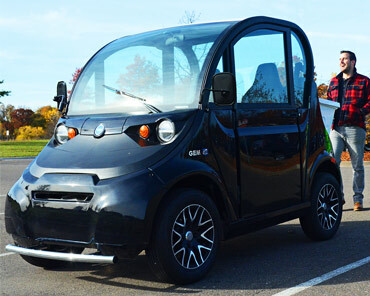 The e2 offers the smallest footprint and most nimble performance, including a tight turn radius for limited spaces. 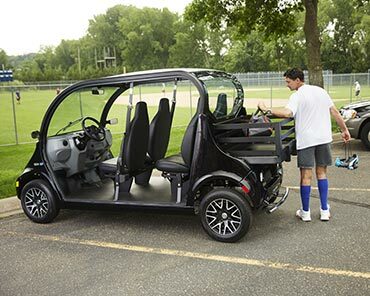 Stand out from the typical golf cart with four forward-facing high back seats, 3 pt safety belts and plenty of legroom. 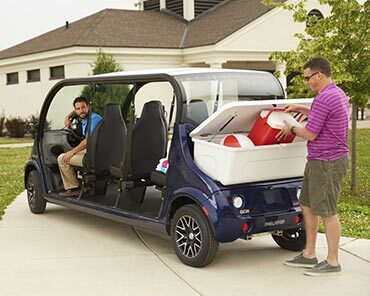 The ideal people mover. It has enhanced suspension that travels over rough terrain without compromising comfort.